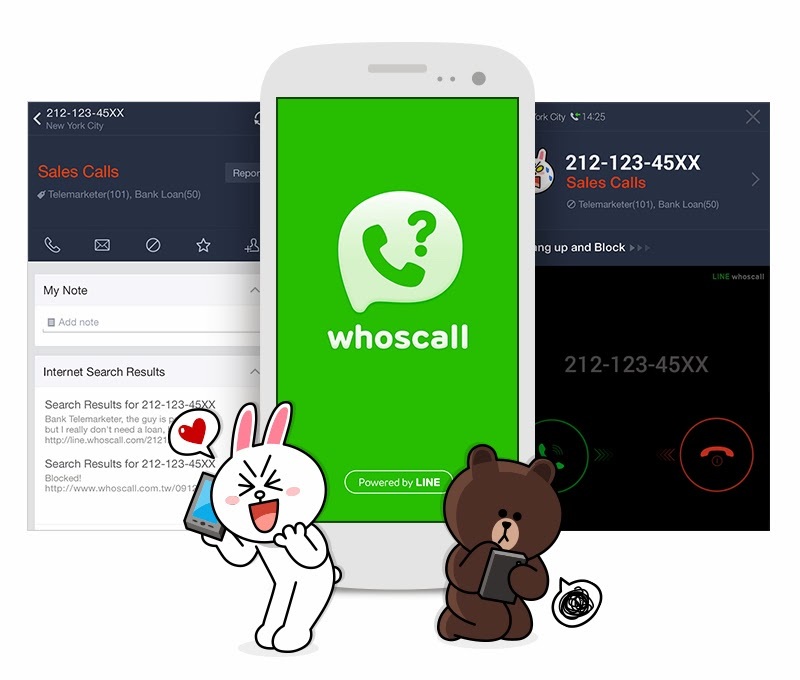 Manila, Philippines - Global mobile platform LINE on Thursday released whoscall, a free call-filtering and number management app for Android developed by Gogolook Co., Ltd., a world leading caller ID service company. It features access to worldwide database of over 600 million phone numbers and identify unknown numbers in real time and protect against malicious sources. Beginning January 9, 2014, LINE 'whoscall' will be available for FREE download on Android market. It supports English, Chinese (Simplified and Traditional), Korean, Japanese languages. LINE whoscall for Android devices aims to allow users to identify the source of incoming numbers and filter out unwanted calls and messages. The app is a reworked interface for LINE users based on whoscall, which has been downloaded more than 5 million times worldwide, and was selected for the Google Best Innovation Award of 2013 in eight regions, including Taiwan, Hong Kong, Indonesia, and Malaysia. LINE whoscall utilizes a database of over 600 million numbers, including businesses and shops, sourced from the Yellow Pages and other public data resources to automatically identify and display the source of incoming calls and messages as they arrive. This allows users to filter out suspicious numbers before they answer a call or message. It was advised that contacts found on mobile devices will not be automatically collected by the LINE whoscall service. In addition, the app will not include a feature that offers LINE account authentication on its release. For this reason, messages and calls received inside the LINE app will not be affected by the filtering settings made with LINE whoscall. LINE, mobile messaging platform, offers free text and voice messaging, voice calling and group chat with up to 100 people, integrated with various interactive elements such as Stickers, Home & Timeline and Official Accounts. Since its release in June 2011, the cross-platform mobile messenger has been releasing a series of add-on apps that range from games to an anti-virus app. Today, LINE has become a cultural icon with 320 million users in 230 countries.